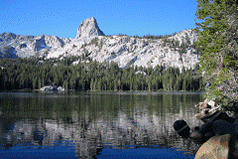 Mammoth Lakes Vacation Rental Management. Mammoth Sierra Reservations represents fine condominium accommodations throughout scenic Mammoth Lakes. Bringing together more than one hundred charming studios to luxurious four bedroom condominiums with spectacular views in a blend of quality, comfort, relaxation and tradition. All include cozy fireplace, full equipped kitchen with microwave, cable TV and VCR. Many have a gorgeous view, ski-in/ski-out or are walking distance to the Town of Mammoth Lakes with its wide selection of fine dining, shops and other attractions. For those special occasions some units even include a romantic private spa.